Movie stoners: a definitive list of the most influential, memorable, lovable and abhorable stoners throughout this history of film. Hollywood has taken two different paths when portraying stoners in film, one that is realistic and one that is played for for laughs. 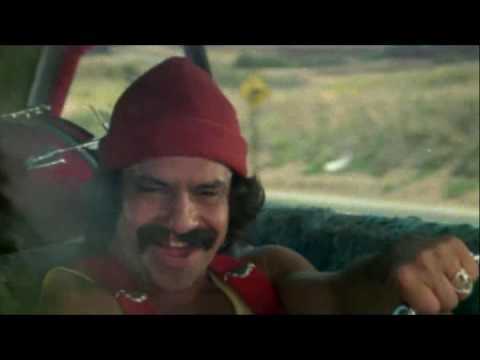 Let's take a look at how the stoner has been portrayed as a film character throughout the ages. This list includes both funny film stoner characters and more serious dramatic potheads and druggies. What are movies for potheads? The main characters in these movies are beloved by stoners, so it should be no surprise that they are on this list. So grab a spliff, some Doritos and some cheap fast food and enjoy! Had to get this one out of the way, but it did have its impact. Without a doubt, Cheech and Chong's Up In Smoke is considered the Citizen Kane of "smuggling cars made of Marijuana out of Mexico" flicks. Made in 1978, the flick got Mary Jane out of the closet, and started to give it its due in the public eye (positive). But despite this marijuanassance (which lasted for eight happy years), MJ got shoved right back in around 1986 (all thanks Ronnie and Nancy Reagan). Regardless of the sad history, the trailer is hysterical. With the Paramount theme that is just a bit too warm and fuzzy, all the way to the squarest sounding announcer ever. It's almost as if the voice over announcer didn't even understand the puns he was iterating. Wonderful. The Dude. The Dude. The Dude. You either get him or your don't. And for those of you who don't, we're coming after you and we are gonna pee on your rug. 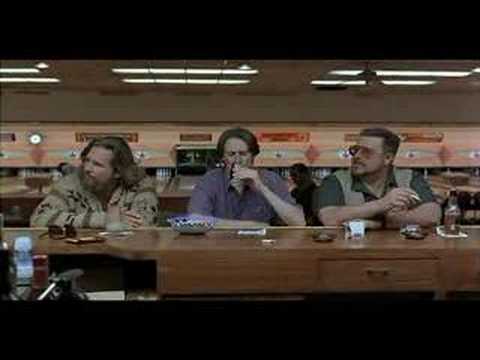 The Dude just is. He is the pot smoker we all want in our lives and the pot smoker we would want to be if we ever took up the habit on a daily basis. He is the "Relax, it'll work out" stoner. The little bit of positive we all want to have and don't, but should. see more on Jeffrey Lebowski - "The Dude"
Jeff Spicoli (Sean Penn) is a positive example of a stoner because he is the original surfer dude and model Californian. 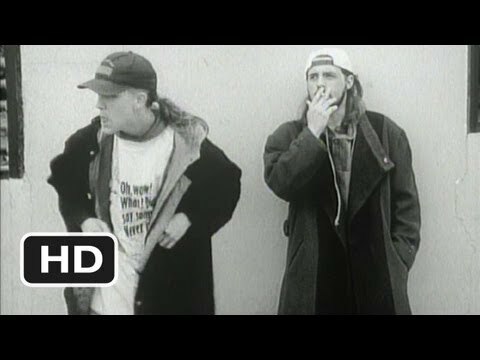 Anyway, unlike many of the shallow, always-stoned-but-never-smoke-rip-offs that followed his footsteps (Paulie Shore and Stephen Baldwin in Bio-Dome, for example), Spicoli just seems like the kid with the sunglasses on in high school that everybody loves to like, but doesn't necessarily want to be. So movie industry, listen up. When picking a stoner character, you should always pick a strong one like Spicoli. That way, when you plug "stoner" into Urban Dictionary you'll get the synonym "Awesome," as in "Totally Awesome!" Hey, it's Jay and Silent Bob. Drug dealers as lovable as Muppets. These guys made it okay to be friends with your pot dealer. Up until Jay and Bob, drug dealers were portrayed as less than desirable elements in our culture. They made it possible for bromances like Pineapple Express to come later.